With the lunation of 5 in your tenth solar house, it's time to work twice as more! You may reach your goals. On another note, this month of April will also favor a recognition of your skills. You should party! During this period you will get to start making plans. Make sure you share those beautiful ideas with your friends in order to reach your goals. On another note you need to give more media coverage to your activities in order to have a bigger audience. You are dreaming of far away destinations looking at the full moon. What if you took your partner on an exotic island for the week end? Make up your mind! 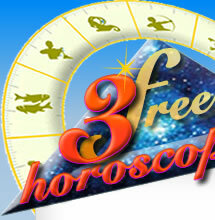 Mercury will give you some control, you will manage to impose your ideas at work and communicate any informations. Mars is in your twelfth solar house and you will have to slow down before you get discouraged. When you get off work...you need to relax. Jupiter is in dissonance with your Sun and you don't have the finances to buy what you want and you are frustrated. Let go! 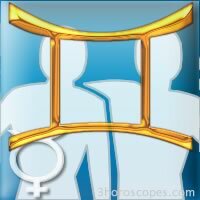 If you want your family to understand you, you need to make more efforts to be more receptive, especially in the week of 7 when Mercury is in dissonance. Don't make things more complicated by being too stubborn. With Venus in dissonance with your decan in the week of 14, stop trying to replace the lack of love in your life by material things, chances are it will probably not be the best option. During the week of 14, you are often healthy and optimistic. Make sure you spend more time with your partner or your children...everyone will appreciate it.